Because of the renewed interest in Cuba travel, it made sense to completely revamp my Havana Before Castro website. It includes chapter summaries, a downloadable sample chapter, and cool Then & Now photos. Take a look! 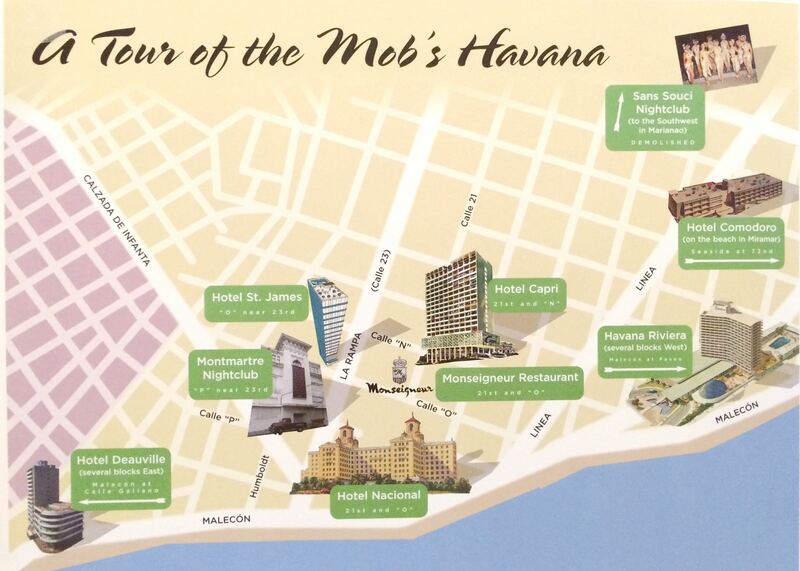 People are using the book as a tour guide to Havana. For instance, there’s a map of the incredible hotels, casinos, nightclubs, restaurants and bars associated with the American mob before the revolution. 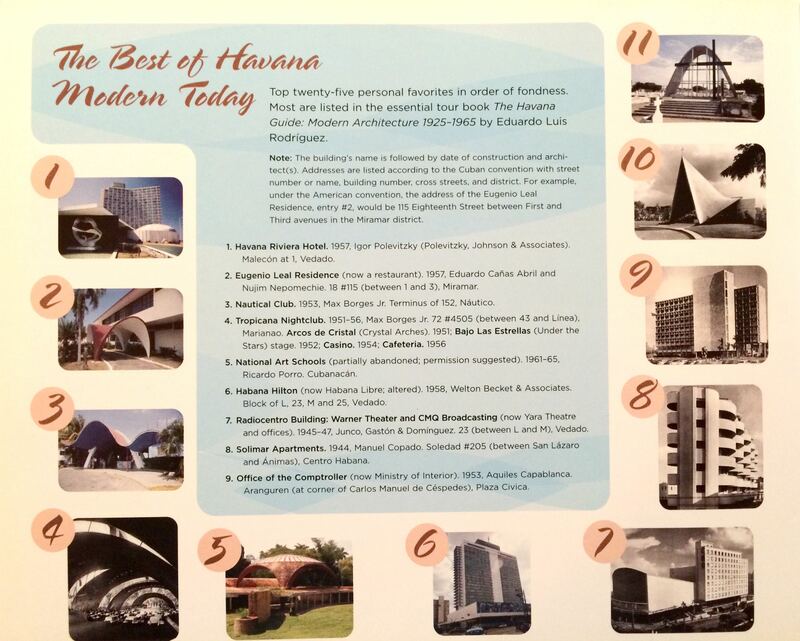 Another tour is of the amazing modern architecture found throughout Greater Havana. And I plan on organizing a guided tour of Havana in the fall of 2016. Stay tuned! Gallery | This entry was posted in Home and tagged architecture, bar, Batista, Beny More, capri, Casino, castro, cigar, conga, Cuba, daiquiri, Floridita, Havana, hilton, La Bodeguita del Medio, mambo, Mob, modern, mojito, nightclub, nightlife, restaurant, riviera, rum, rumba, tour. Bookmark the permalink. Mr. Moruzzi, I stumbled upon your book, “Havana Before Castro,” at my local library, checked it out and before it was due back, I purchased my own copy! I live in So. Florida and Cuba has always been a curiosity. I finally got to visit by cruise ship this summer (2018) with my 20-year-old son. I LOVE your book! I haven’t made my way through the entire book yet but what I have read concurs with what I saw. I hope the people of Cuba can one day be free and enjoy what the island has to offer instead of living in the abject poverty that they are living in now. The island’s history is rich so I thank you for putting together the book to show what it once was before Castro. Even though Fidel and his cohorts didn’t want American investment or businesses, I can’t help but think they need us now. It’s great that you were able to find a copy since it’s now out of print. It’s sad that Havana’s non-colonial era buildings continue to deteriorate. There simply hasn’t been sufficient investment in these buildings – public or private – to keep them from crumbling away. I don’t know what will happen as I don’t see any changes on the horizon. What a great trip planning resource! Looking forward to your guided tour announcement!